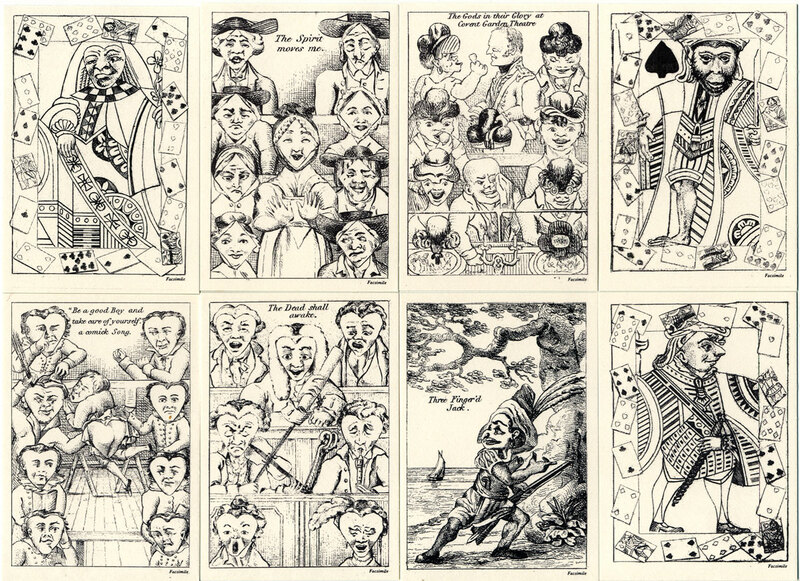 Above: Transformation playing cards, first published in 1811, in which each card bears a picture in which the suit marks are concealed within the design. This artistic exercise began as an 18th century parlour game and became a popular pastime during the Victorian era when ordinary playing cards would be illustrated in pen and paint. Cards from the facsimile edition courtesy Giles de Margary. A new facsimile is published by the EPCS. 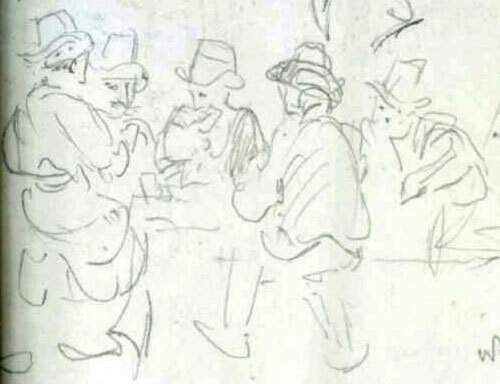 A rough but lively study of a group of men in hats playing cards by Joseph Mallord William Turner (1775–1851), 1819.